These stocks may look like bargains, but bottom-fishing is actually the 'most expensive sport in America,' famed chartist Marc Chaikin says. 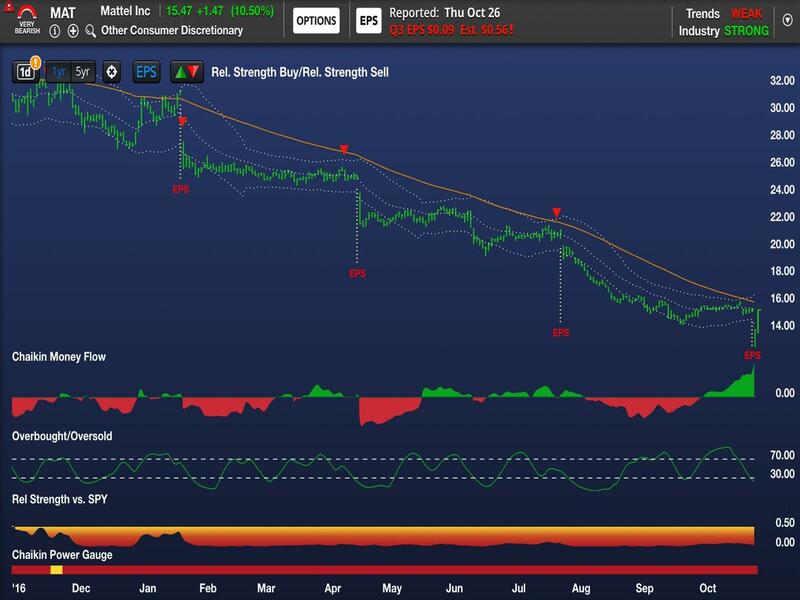 Don't bottom-fish on struggling Chipotle (CMG - Get Report) , Under Armour (UAA - Get Report) or Mattel (MAT - Get Report) , famed chartist Marc Chaikin says. 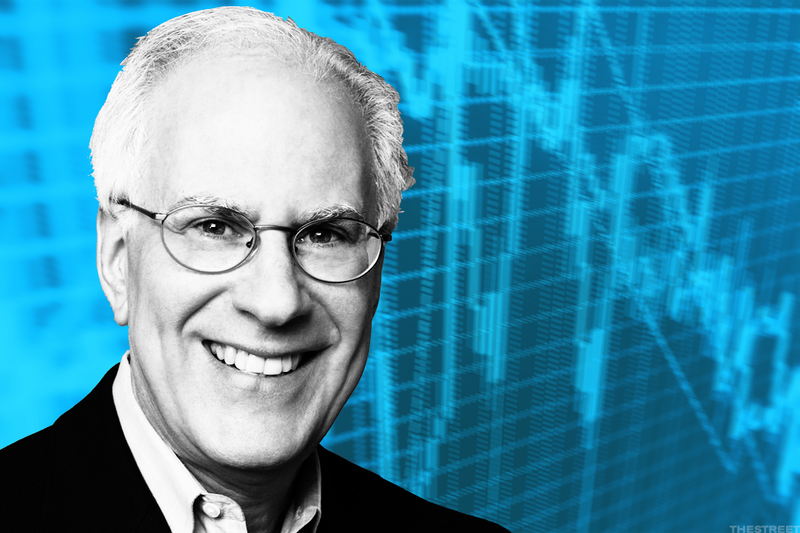 "Bottom-fishing is the most expensive sport in America," Chaikin said over the weekend at TheStreet's Financial Success Strategies teach-in. "Just don't do it. It's not worth it." Bottom-fishing is a trading strategy wherein an investor buys shares of a stock that's recently taken a dive, expecting that the price will recover and make for a profitable investment. 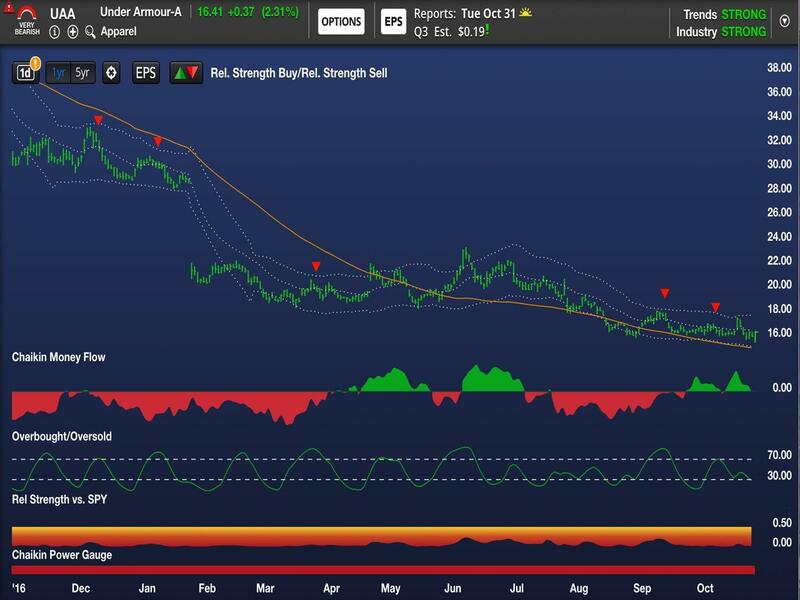 But Chaikin said smart investors should particularly avoid bottom-fishing in weak stocks, sectors or industries, as there may be "surprises lurking around every corner." He said the key to maintaining a strong portfolio is to spot "personality changes" in a stock that's moving from outperforming to underperforming the market. Chipotle shares have cratered some 60% since the first outbreaks of E. coli, salmonella and norovirus hit the chain in 2015, decimating customer traffic. 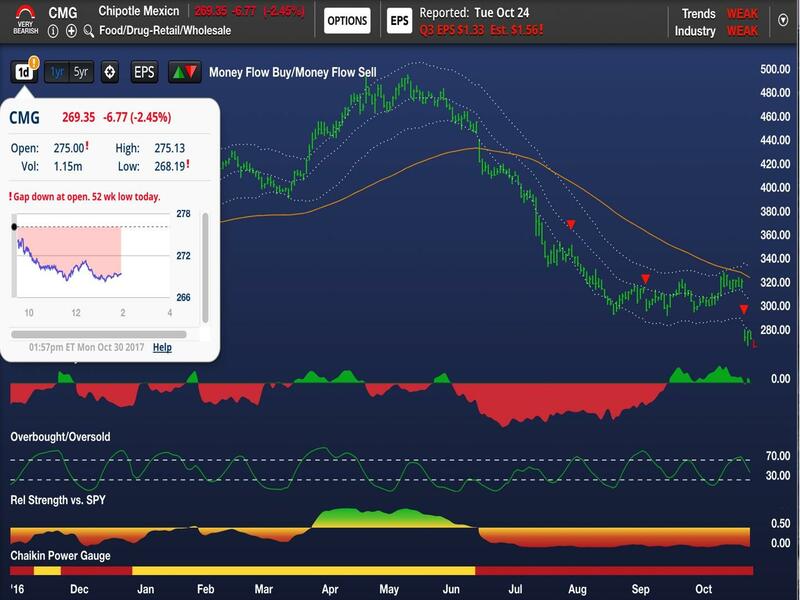 CMG initially shares dropped to roughly $400 from a previous $700 between October and December 2015, but then partly recovered to $530 in March 2016 as some bottom-fishers assumed that Chipotle shares would bounce back. Nearly two years later, Wall Street still has doubts that Chipotle will ever recover. TheStreet's Jim Cramer recently said that it seems like Chipotle has lost its way. UA shares plunged more than 20% on Tuesday after the company badly missed estimates for the fiscal third quarter and provided disappointing guidance for the current period. It looked just a few months ago like Under Armour might make a comeback, but its sales continue to sag in North America, its biggest market. "Who knows where the bottom is?" Chaikin said. "You do not want to bottom-fish in a stock like this." Struggling toymaker Mattel is also a "poster child" for a stock that bottom-fishers should bypass, Chaikin said. That call proved to be accurate last week, when Mattel reported a negative earnings surprise for the fiscal third quarter. The stock has fallen 11.2% in the last five days and was down 9.2% on Tuesday. Mattel has been blaming its earnings miss on Toys 'R' Us filing for bankruptcy, but investors shouldn't buy it, Chaikin said. "Toys 'R Us has been bankrupt for what -- a month, two months?," Chaikin said. "But [Mattel is] ever hopeful."